Coconut Grove Movers – Moving is an incredibly stressful event. There’s so much that needs to be done it can be overwhelming. 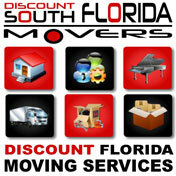 Come let the experts at Discount South Florida Movers set your mind at ease. Our friendly moving professionals cover all aspects of the move from packing to shipping. Our rates are the lowest in the area and our service is unbeatable. With many years of experience, Discount South Florida Movers can handle a variety of moves. Whether you are moving from your personal residence or an office building we can accommodate you. We also have specialized moving services for hard to move items like pianos. Distance isn’t a factor either. If you are moving to or from Coconut Grove, allow us to do it quickly and safely for you. Coconut Grove is the oldest neighborhood in Miami. It was first established in 1825 when the Cape Florida lighthouse was installed nearby in the Florida Reef. Annexed in 1925, this neighborhood of 20,000 people is known for their outdoor festivals and events, most notably the Arts Festival. They are also known for their Goombay Festival where they hold their own Carnival. The city also features such attractions as the Barnacle Historic State Park and The Patricia and Phillip Frost Museum of Science. The Village Center is a three block area where the majority of the shops and restaurants are located. The neighborhood has two open-air malls and a plethora of street side cafes to round this quaint neighborhood out. Discount South Florida and Coconut Grove movers provide low rates on residential, commercial, piano and long distance moving.